The listed buildings schedule indicates that the original house was a 3 room through passage building, probably 16th.century. In 1707 modifications were made to the house with additional rooms built on and outbuildings. A new lateral stack built on the street inscribed CEL1707 indicates the Luckis still living here and the fire in the central hall had been moved. 1709 Walter Luckas is appointed Churchwarden in Otterton. (note variety of spellings). John Mayne is living here and a new lease is granted in 1751. 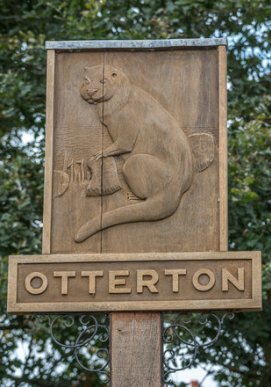 “Messuage & tenement in the Town of Otterton with all houses, outhouses, court, orchard, garden, 5 closes called Rydons 6 ½ acres. Close called Grimsford ½ acre, all known as Luckis tenement for 99 years at £65, Rent 10/-pa. on lives of John Mayne & son John”(DRO 96/M Box 80 4/8). The next record seen is the Auction Prospectus of Duke Estates 1779 (DRO 96/M Box 2/4) and Matthew Butson is leasing Rydons. The Closes had been reduced to 4 (now Rent No 60) and are named Blindland, Breadon, Cocknole & Ulfill, now 4 acres. Matthew Butson probably died 1804 and son William succeeded. Tithe Award 1843/3 lists him as “independent” and living with John Carter and family in Rydon Farmhouse. In 1850 the 2 leases 83 & 60 expired and in 1852 the house appears to have passed to John Hayman junior Rent £8pa. 1861 the tenement under Hayman classed as “condition Bad”. 1892 /1902 John Henry Hayman is named. But the 1901 Estate Survey (CDE Estate Arch.) lists William J.H.White formerly J.H.Hayman 39 ½ acres. 1911 Survey (CDE 20064) & 1914 Directory – first called Rydon Farm, 31 acres Rent £46. 12/6 W.J.H.White. 1922 Charles Carter is holding Rydon & 1927/8 his brother Victor took over at £114pa. Oliver, Victors son, took over Rydons Farm in 1962 and gave up the tenancy in 1983, buying North Star Farm of 3.30 acres from Clinton Estates. Luckis/Lucas First mentioned in East Budleigh 1318. John Lukeys was importer into Ottermouth Port – fruit/veg. dyes for clothmaking. 1430; 1497; 1524 Subsidy Roll John Lukas; 1749/63 John Luckis at Knowle. Maynes Also Maynes Farm now Thatched Cottage Fore Street. Married into Suxpitch Carter family and on John Maynes death it passed to Oliver Suxpitch Carter of Hayes Barton. Butson Also held Butsons Farm, Otterton, now Primley Cottage, Bell Street and the two farms, Rydon & Butsons farmed together. Thomas Suxpitch Carter later held Butsons and farmed Maynes & Butsons together. 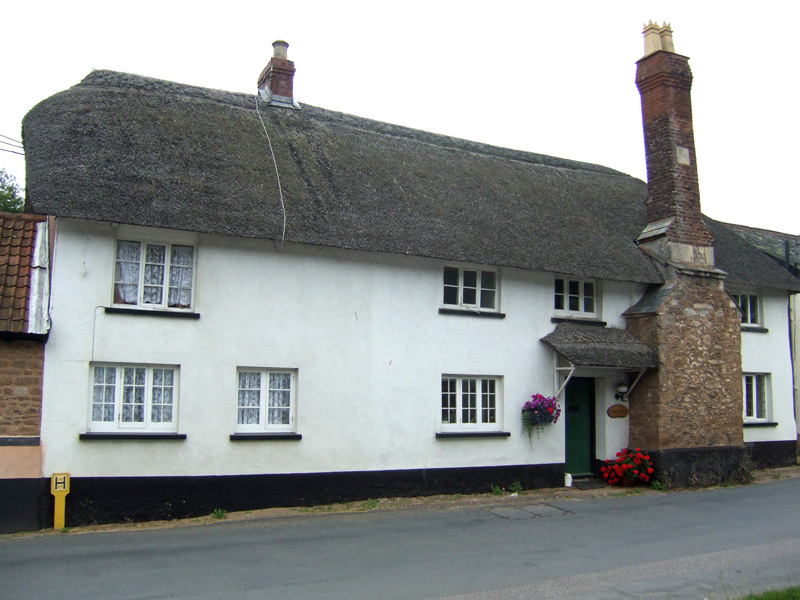 Hayman & White Farmed various farms at different times in Otterton Parish and East Budleigh. Carter Another branch of the very large family. 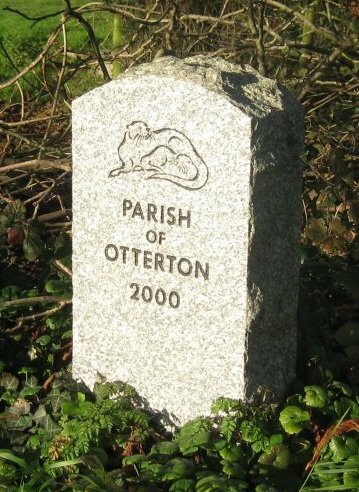 Charles, Victor & Oliver’s family had also farmed many farms in Otterton Parish – Passaford, Pavers, Burnt House etc.